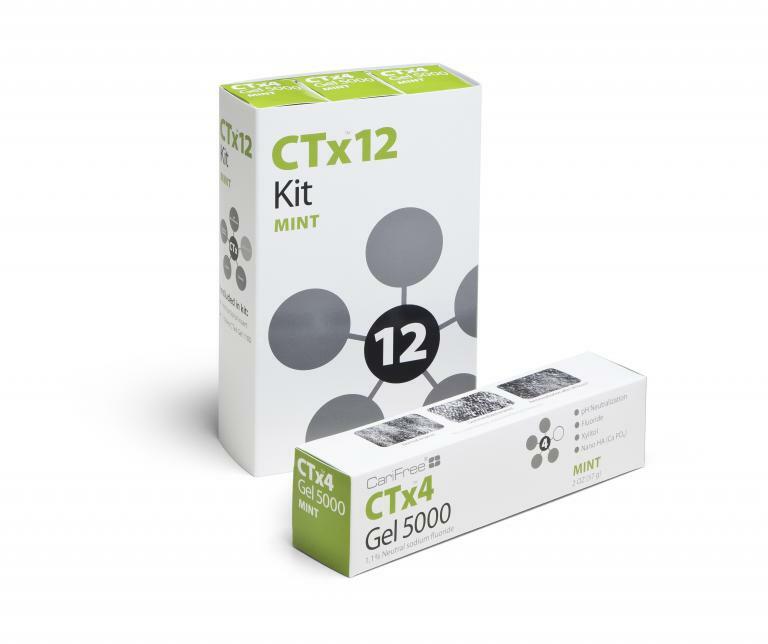 CTx3 Rinse is designed to specifically control oral environmental factors that lead to a cariogenic biofilm. 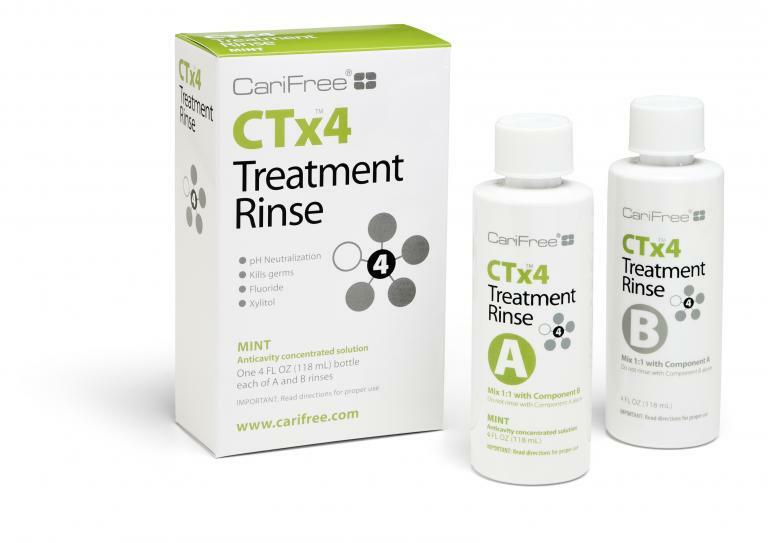 CTx3 Rinse contains xylitol, fluoride (.05% sodium fluoride), and CariFree’s unique pH+ technology to neutralize acidic oral pH. Intended for use by patients to lower caries risk and maintain long-term oral health. Available in mint, citrus or grape, 16 fl oz bottle (473 mL), 48 doses, approximately one month of use (when used twice daily). Swish with 10 ml two times daily after brushing and flossing.